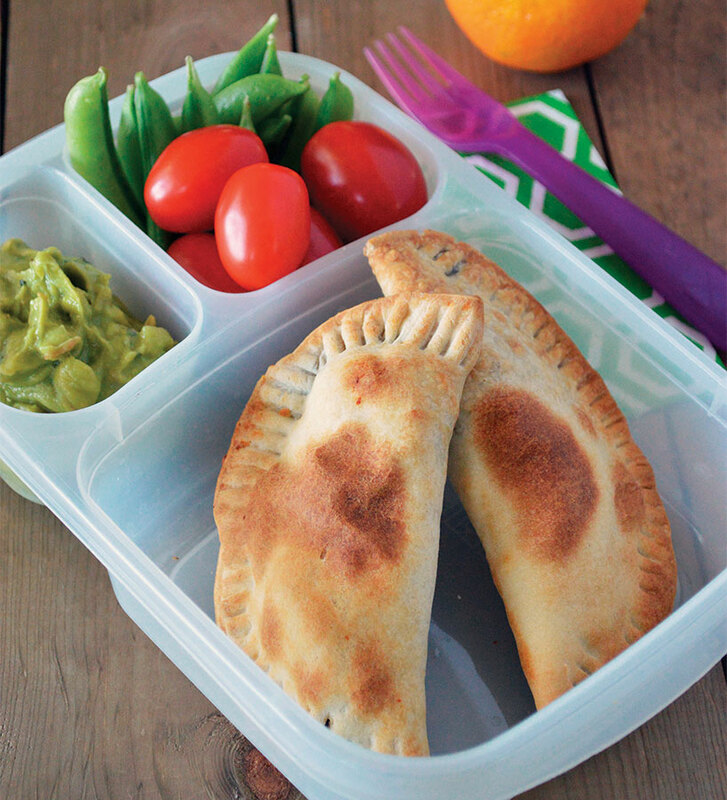 Pack these Black Bean Empanadas for lunch to keep your children’s brains charged with several servings of fruits and veggies! Heat oil in skillet over medium heat. Add peppers, onions and tomatoes. Cook 3 to 4 minutes, or until tender. Add black beans and taco seasoning. Cook 2 minutes. Set aside to cool. Bake 20 to 25 minutes, or until golden brown. Remove from oven and let cool. 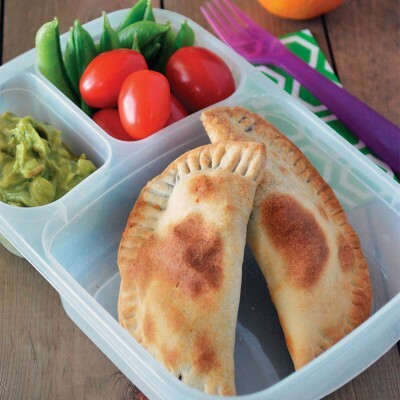 Serve two empanadas with guacamole (or mashed avocados) for dipping, and the fruit and veggies on the side. Stuck in a peanut-butter-and-jelly lunch rut? As school gets underway, it’s an opportune time to freshen up your lunch-packing routine and turn ho-hum into way-yum with a Rainbow Bento Box!